We have a wide selection of gun rentals to suit your needs. Most people think of firearms as something you must purchase, but there is another option which might be a better course of action: gun rentals. Here at ProShots, we offer a wide variety of gun rentals with an inventory that we continue to expand and update. What’s even better is that you won’t pay a cent for gun rentals if you have an individual or family membership or need a firearm to take one of our firearm training classes. Even if neither of these applies, you’ll find our gun rentals are very affordably priced. Here are some great situations that gun rentals are the perfect solution for. Try multiple firearms before you pull the trigger on a purchase. It is always a good idea to “test drive” a firearm, so you fully learn its safety features, weight, recoil, grip, and sight picture. 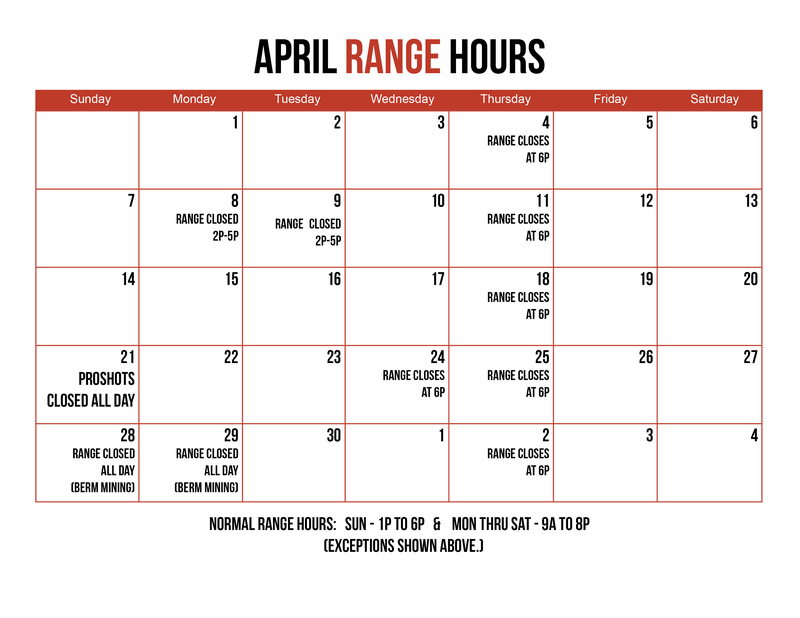 Bring a friend or family member with you to the range. A great way to introduce the sport to someone else is to bring them with you, but if they don’t have a firearm and you do not have an extra one, that could be problematic. You might also have family from outside the Winston-Salem, North Carolina area that has come for a visit and couldn’t bring their firearm. With our gun rentals, they’ll be able to join in the fun. When your firearm is being repaired or upgraded by one of our gunsmithing professionals, you may still want to get a bit of practice in. Grab one of our gun rentals, and you’ll be good to go. You can train with a different firearm than you own. Some firearm enthusiasts prefer to get training for a specific firearm before they purchase one. For example, you may already be proficient with a handgun and are now turning your attention to training with a 12GA or 20GA Remington. Our gun rentals are the ideal solution for so many situations, and our guns are always kept in top condition by our on-site gunsmiths, so they are ready to provide you with a great practice session. Call or come by with any questions you may have. Not only is it a fun, and unique opportunity to have access to our rental fleet. One of the best things about ProShots rental program is that you can “test drive” before you buy. As any firearms instructor will tell you, “one size does not fit all”. Each firearm has its own weight, grip, recoil, sight picture, and safety features. It is important that all these features work well for you, and your application. That’s why we continue to expand, and update our rental inventory, so you can try multiple firearms before you pull the trigger on a purchase. P.S. Rentals are FREE with all our training options, and membership!! !….